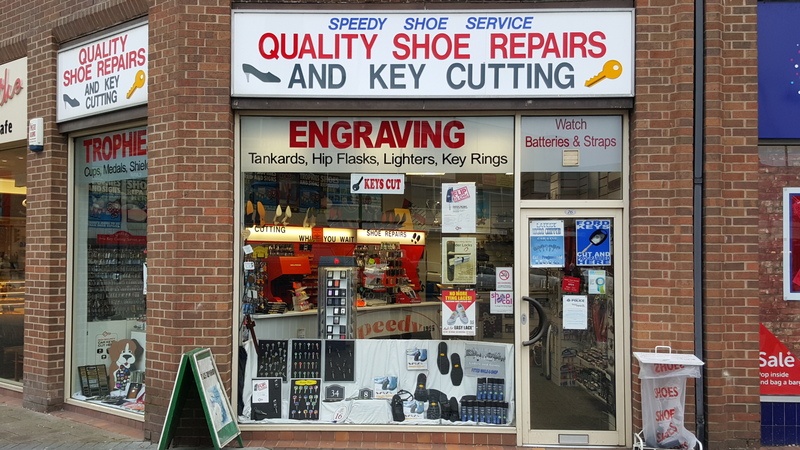 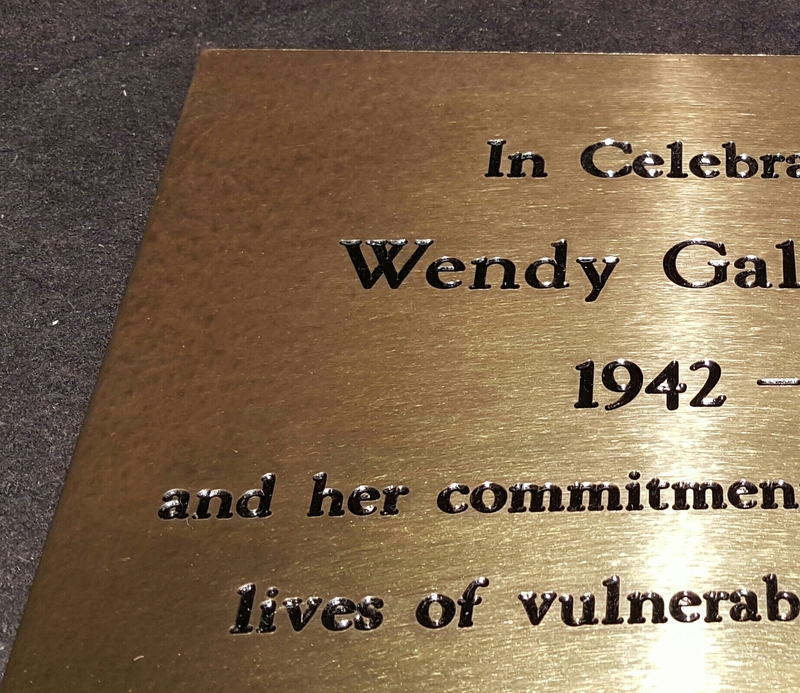 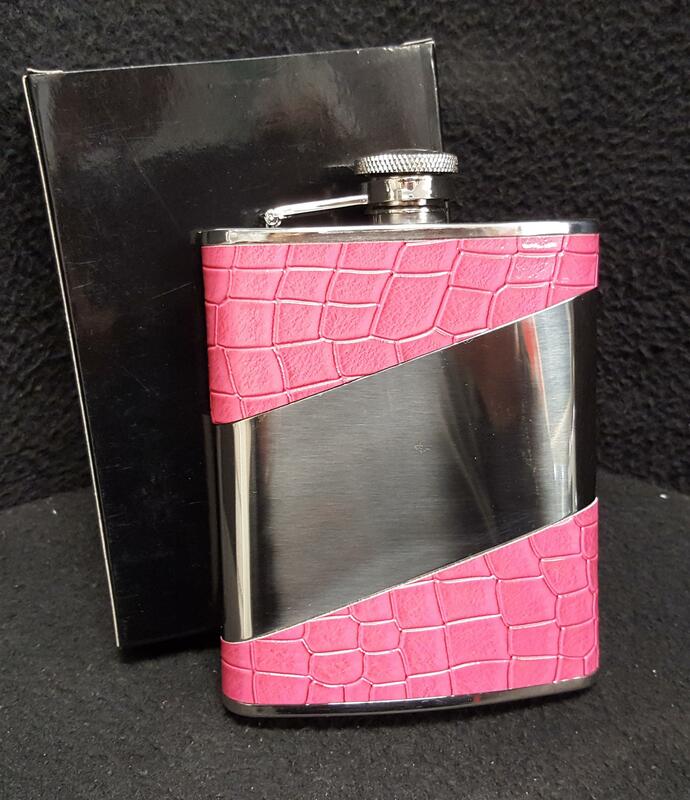 Quality Hip Flasks all of which can be engraved with your personal message. 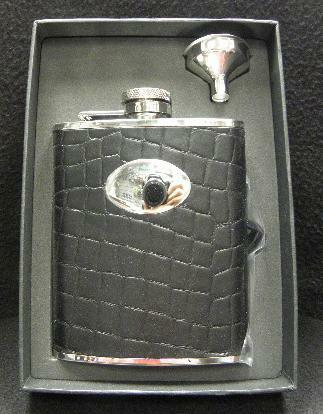 Stainless Steel Hip Flask with Black faux croc cover and funnel. 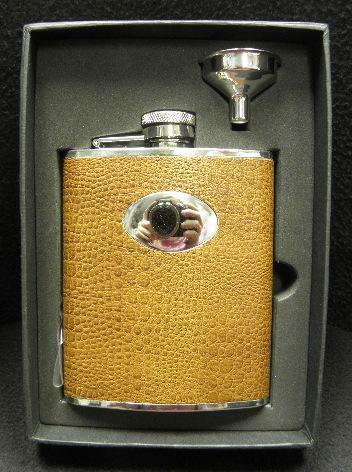 Stainless Steel Hip Flask with Brown faux croc cover and funnel. 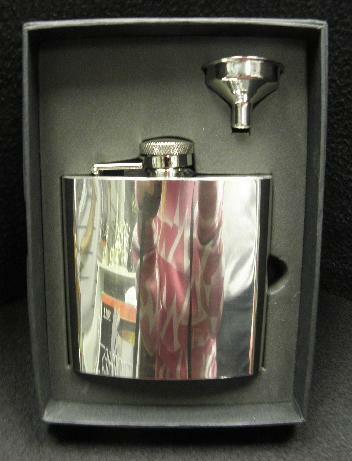 Stainless Steel Plain Hip Flask with funnel.